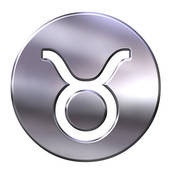 This is a month when your professional, home and your personal lives all bring stellar news your way, Taurus. Venus (Love) begins the month in the compatible earth sign of Virgo, your 5th House of creativity, passion and romance. Children also fall under this House so enjoy the appreciation and love that highlight these areas of your life this month. Venus in Virgo lights up your love life and bonds you closer to children. If you work in the arts, expect to see some serious results and major progress during this transit that lasts until 8/15. On 8/16, Venus (Your ruling planet) enters your 6th House of Libra. Expect daily work, health and career matters to consume much of your time. Venus in Libra brings about accolades from associates and popularity. Special to Taurus: An office romance is a serious possibility this month, so make sure both parties (you and someone you work with) are available (i.e. not in another relationship) and take it slow for best results, Taurus. You could have a change of heart, so be extra cautious if someone at work catches your eye and attention. You might want to consider the long term consequences of an office romance before you decide to make things official. With Venus (you ruling planet) in Libra, gossip could ensue and while work will be gratifying, there could also be some disagreements, especially on 8/17 and 8/20, Taurus. Take advantage of the first 15 days of August and get your love life in optimal order before Venus changes signs. A New Moon occurs in Leo on 8/6. Leo is your 4th House of home and family. This New Moon can bring about opportunities to sell your home, move to a new one or change locations altogether. Your focus will center on children, starting new home projects and possibly changing the appearance of your home. (Mercury - Communications) transits through three signs (Cancer, Leo and Virgo) but will spend the majority of August in Leo. On 8/8, Mercury enters Leo, your 4th House of home and family life. Expect relatives and your residence to become the central focus during this transit that lasts until 8/23. You can expect to get messages and communications regarding your home and via family members during this time. Expect lots of visits and a possible family reunion when Mercury is in Leo. Mercury will exit Leo and enter Virgo, your 5th House on 8/23. Conversations, travel and an ongoing romance will begin to gain greater momentum and you can expect romantic partners to profess their love and devotion to you during this transit. A new romance is looking even better than you thought/suspected. Couples decide to travel, do something out of the ordinary and find that socializing with friends brings excitement, laughter and creates lasting memories. Mercury will enter your 5th House on 8/23 and remain there until 9/9. Use this time to create the love you desire. Communication will seem effortless, single or coupled. You possess a way with words, so communicate your tender feelings to those you hope to get closer to. Mars (Physical energy/motivation and drive) begins the month in Cancer and will remain in your 3rd House until 8/27. You will note that your ability to write and communicate is greatly enhanced during this transit. You could also be dealing with siblings, neighbors and your family more than usual during this time. A Full Moon occurs on 8/20 in Aquarius. Aquarius is your 10th House of career, prestige and those in authority. Mars creates a challenging angle on this day, so tone down any hint of aggression or frustration, especially where your superiors and bosses are involved. A Virgo, Scorpio and a Pisces will play key roles. A Virgo will be a strong support system and good friend to you. A Scorpio is involved in a professional or personal relationship. A Pisces promises to be your loyal ally, friend and confidante.